If you are attracted by the idea of working for yourself and you love driving, working as a driving instructor is the next natural progression. Working as a driving instructor in Oxford can be immensely satisfying. You get the opportunity to see your students develop, with the outcome of achieving a goal which can really help improve their quality of life. Some people need to drive for their work or other commitments and the chance to support them with this can offer a lot of job satisfaction. The job of a driving instructor can be challenging and demanding, but the rewards are well worth it. 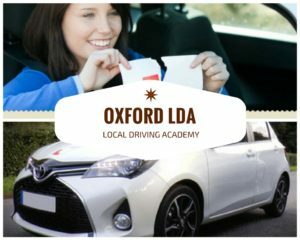 If you are just starting to contemplate the idea of becoming an Oxford driving instructor, you probably have a lot of questions and you may be wondering if it’s right for you. If you are at the stage in your life were you really want a healthier work/life balance, this job can offer it. As a driving instructor, you can decide on the hours you work, and the students will work around your availability. You have the flexibility to undertake your driving lessons for a full, continuous day and take the next day off if you want, it’s completely up to you. You will need to have a passion for driving, after all, you’ll be spending your days driving or teaching. Driving instructors need to have a lot of patience and understanding to get the most from their students. The last thing we want is to put students off or make them feel uncomfortable, so if you really lack in patience, this is probably not the right job for you. Do you still want to become a driving instructor? Good! We are glad you’ve decided to embark on this journey but there’s some steps you need to take before you can get started. It is imperative that you first register with the Driving and Vehicle Standards Agency (DVSA.) You need to be over 21 and have had a driving license for more than three years with no convictions. A DBS (Disclosure and Barring Service) check will also be required. You will then undertake the ADI exam, which is made up of three different stages; theory-based test, driving ability test and instructional ability test. When you have passed these tests, you’ll be ready to join an established company and get started on helping students achieve success. 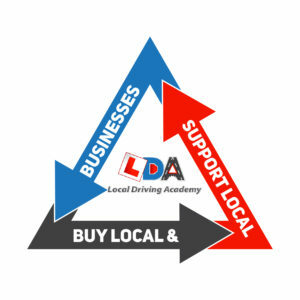 Why choose Oxford Local Driving Academy? There are many reasons why you should choose us to start your journey as a driving instructor. 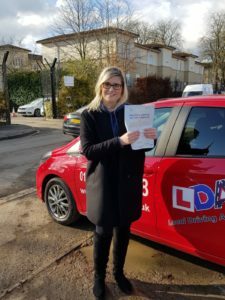 We have an excellent reputation amongst our clients, and we were even awarded ‘the best driving school in Oxford.’ We have a booking system which allows you to set your own hours and there are no hidden charges. We always have students looking for driving lessons in Oxford, so you will never be left waiting for work. If you want to embark on a career as a driving instructor, you won’t make a better choice than joining us!